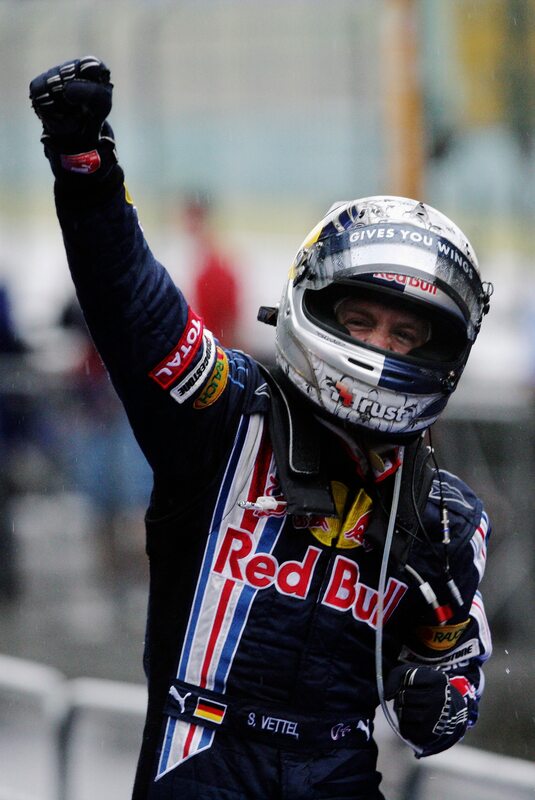 After being elevated to the senior Red Bull team in 2009, Sebastian Vettel won Red Bull Racing's first victory during the third race of the year, the Chinese Grand Prix. Team mate Mark Webber was second. Vettel scored a second, commanding victory in the British Grand Prix then completed the year with further wins in Japan and Abu Dhabi to take second place in the Drivers’ Championship. The first victory on 4 wheels in the Dakar Rally was achieved in 2009 by the VW Red Bull Factory team with South African Giniel de Villiers and co-driver Dirk von Zitzewitz. The Volkswagen squad dominated from start to finish and after a total of 15 days behind the wheel, de Villiers led a convincing one-two, finishing only 8m 59s ahead of team-mate Mark Miller in second place. It could have been a one-two-three for the team had Carlos Sainz, who led for much of the event, not crashed out with only three stages to go.